1 ACOUSTIC QUARTET: Bringing their “acoustic derangements” to Boulder City, The Unwieldies will perform Saturday night at The Dillinger Food and Drinkery, 1224 Arizona St. The Las Vegas-based quartet describes its repertoire as folk/rock/alt-country. The performance will start at 8:30 p.m. Admission is free. Call 702-293-4001 for more information. 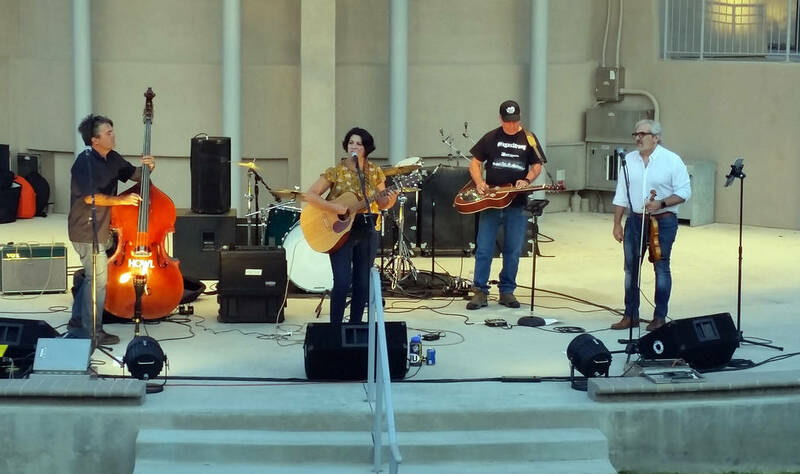 File The Unwieldies, from left, Robert Bell, Danielle Bell, Richard Well and Jack Ball, seen at an October benefit in Boulder City, will perform Saturday at The Dillinger Food and Drinkery. 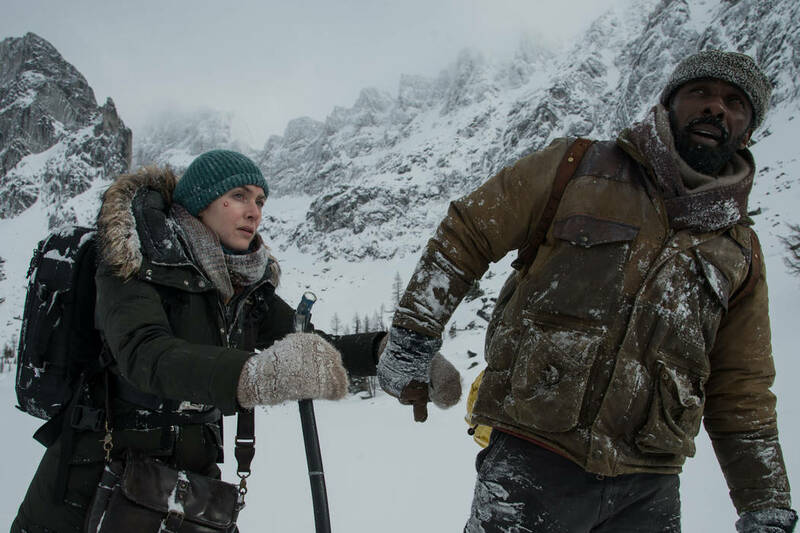 Their show starts at 8:3 0 p.m.
Kimberley French, Twentieth Century Fox Kate Winslet and Idris Elba play survivors of a plane crash in the romantic thriller "The Mountain Between Us." Boulder City Library will show the film at 5:30 p.m. Friday, Jan. 12. File The annual Twelfth Night Handbell Festival returns to Boulder City on Friday and Saturday and concludes with a free concert at 4:30 p.m. Saturday at the Boulder City Recreation Center, 900 Arizona St.
2 BRING YOUR SNACKS: Boulder City Library will show “The Mountain Between Us,” starring Idris Elba and Kate Winslet as a surgeon and a journalist, strangers who must rely on each other to survive after a plane crash on a remote snow-covered mountain. The movie starts at 5:30 p.m. Friday at the library, 701 Adams Blvd. Those attending are welcome to bring blankets and snacks. 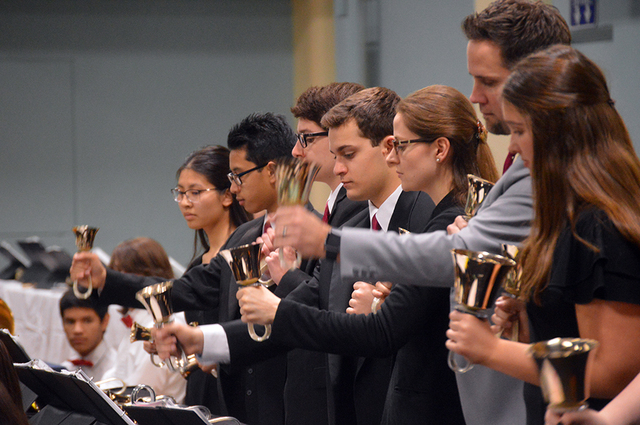 3 LET THEM RING: More than 100 handbell ringers from choirs throughout Nevada and Southern California will descend upon Boulder City for the Twelfth Night Handbell Festival on Friday and Saturday. The festivities conclude at 4:30 p.m. Saturday with a free concert, which is open to the public, at the Boulder City Recreation Center, 900 Arizona St.